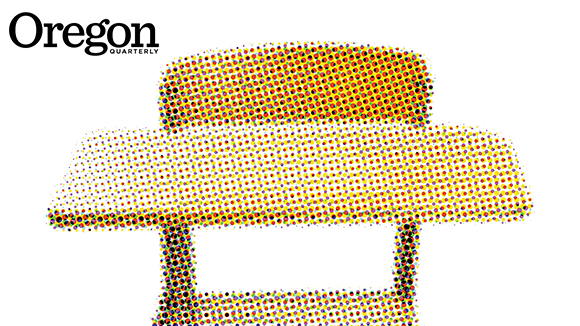 In this excerpt from Teacher: Two Years in the Mississippi Delta (University Press of Mississippi, 2016), English instructor Mike Copperman, MFA ’06, looks back at some of the Mississippi Delta kids who fell under the radar in his fourth grade classroom. Teaching today at the university, every quarter I will examine course evaluations and find one from a student I failed to see, someone who felt that I ignored or disrespected them, a student who disliked me and seethed from a corner silently, unnoticed, even as I will also find a few students I have to strain to picture at all who quietly loved my class but had never asserted themselves in ways I’d noticed. So it was in the Delta, perhaps, and now, after a decade of memory’s sifting and shuffling of chaff from jewel, I find the children who weren’t loud or extraordinary emerging from memory to declare themselves. I picture the student named Tonka from my second year who was heavyset and freckled and perhaps not the brightest student, but who always followed every direction and who had such a thorough good nature, such a guileless and pleasing smile, that I used to compliment him just to see his freckled face break into a wide easy grin and bless us all with radiant goodwill. I picture Charleton, whom I mostly hated my first year because he was defiant and perpetually off task, telling me one recess to watch until I turned and gave him my full attention. He put his feet together, ran five loping paces, and quickly accelerated to a sudden sprint, turned a front handstand and a second and third and pivoted into a backflip that he landed with arms raised in a V like an Olympic gymnast. As I broke into applause, he met my gaze, winked, and bowed low, as if to say, well, that was pretty damn good, wasn’t it? I remember a boy named Medius who was hugely obese and socially awkward and who had to bind his khakis with two belts taped in the middle because his stomach was so large, the pants legs bunching and pooling at the ankles as they had been intended for a much taller child. He walked with such a sway of flesh side to side that if he stood to go to the bathroom or pick up a piece of paper or go to lunch he would often knock pencils and papers off other students’ desks unless I sat him to the side and to the back. He would frequently act out for attention, stab his arm with staples so that they were stuck through the skin like a pierced hipster, glue his hands together so that he had to raise both in the air while the other students howled and I scowled. I remember how, during those rare moments when I spent time with him, keeping him perhaps on recess, which he preferred because other students would make fun of his size, he could be funny and silly and forget for a moment his plight at having been born into his own body, how he’d beam at a joke or compliment. I admit that too often I just wanted him and his antics to go away, that I cannot even recall now how he did on his end-of-year tests or even whose classroom he went on to in fifth grade, if he continued at all. Dear Mr. Copperman, today my flight of angels come down and carried me on through when them kids was meddling me. Today my flight of angels come and told me they was going help me learn my times tables all the way through twelve. Today my flight of angels told me we all gone fly. Do you know to fly, Mr. Copperman? I wish I could recall if I ever wrote her back or took her aside to thank her, but I was so frequently distracted by the moment-to-moment struggle for survival that too often I read the notes after they’d piled up, as I was hurrying to leave on a Friday afternoon, eager to finally go home. Halfway through the school year her mother abruptly moved her back to the Midwest. When I picture her now, I see only the beatific smile and the drawing that illustrated each note, of an angel carrying something like a harp or wand in outstretched arm, soaring off the page. Marvin was another student whom I perhaps didn’t notice enough at the time but whom I find myself thinking of often now. He was a slight, round-shouldered boy with a polite, halting manner and big, innocent brown eyes that seemed to take up his entire face. I must confess to having rarely paid him enough attention before I finally let Felicia Jackson fail—with her there, he was the sort of student who receded toward the background, easily lost in his own silence. He spoke softly, wanted badly to please; when praised he would blush and light up, then avert his head, unable to bear the scrutiny inherent in a compliment. He had less than most of his classmates—his uniform polos were moth eaten and his khakis stained and worn thin at the knees, and I gathered that, like so many Delta children, he lived with his mother and grandmother, and had no father in the picture. Marvin’s third-grade teacher had been another male Teach for America corps member whom he’d looked up to, and at the end of third grade Mr. Black had given Marvin a hardcover book that had been read aloud to the class but was grades above Marvin’s independent reading level. Marvin wanted badly to read his book, which he carried around in his dog-eared backpack. Together, we set a goal that he’d read the book by the end of the year. He didn’t want to wait, would take out the book during readers’ workshop and battle his way, syllable by syllable, through the compound words he couldn’t yet decode, an activity so frustrating he’d clench his fists and shake. Finally, I made him promise to stop reading it for a while so that he could see his own improvement. Marvin begrudgingly agreed, though each day he’d take out the book and set it before him as a reminder of his goal. He waited a solid month before picking the book back up; the first time through, it took him nearly a month. I would wince when I saw him struggling word by word during reading time, his brow furrowed, his mouth soundlessly forming words. Yet he wouldn’t choose another book, and he was comprehending what he was reading through sheer, dogged force of will. When he finally finished, he opened the book back to the first page and started again; the second time it took him two weeks, the third time a week. After five cycles I finally got him to move to the second book in the Boxcar series, and soon enough he was able to lay claim to all thirty Boxcar books on my shelves. I made him our official “Boxcar Specialist,” and he guided other students through tours of the series, giving plot summaries and recommendations. Every day Marvin would stay with me after school, cleaning the room, discussing his latest Boxcar book, or surfing the Internet on the computer. His goal was to last until it got dark so that I would give him a ride home in my “wagon”— he liked nothing better than to be rolling through the potholed streets riding shotgun, Nas bumping from the speakers (I know I can / Be what I wanna be / If I work hard at it / I’ll be where I wanna be), arm trailing out the window to touch the passing air. In late spring, Delta Horizons, the Title I program that I taught aikido in after school, organized a trip to Washington, DC. Marvin was a part of the program. We’d come up with full funding—all the children had to do was get a permission slip signed. Marvin kept shrugging when I asked him about the slip, and so I told him of the wide green lawns and sparkling reflective pools, the great columns and towers, all the history and grandeur he’d witness, and he promised to get the slip signed. When he did, I didn’t request the fifty dollars of meal money that was required; I put in the money from my own pocket. That April, on the two-day bus ride to DC, through the furrowed fields and dusty flats of Tennessee, then threading the rolling green hills of Virginia, Marvin reread his book. I watched him there, holding the pages to the window as the landscape flashed past in blocks of green and brown, reading the words aloud, laughing sometimes to himself with delight at the familiar turns and twists, sometimes racing for me along the aisle as other chaperones called for him to finally sit down, eager to tell me everything that had just happened. On the great green lawn of the Capitol Building, Marvin stood delighted less by the spectacle of Capitol Hill than by the book he held victoriously in hand, the glory of his own achievement: he’d finished, and he’d come a long way indeed.